The Union Finance Minister Mr. P. Chidambaram, on Thursday, met the Opposition to get support for the Insurance Law (Amendment) Bill 2008, which seeks to raise Foreign Direct Investment (FDI) ceiling in insurance to 49 percent from existing 26 percent. According to sources, Mr. Chidambaram met the leader of the opposition in Lok Sabha, Mrs. Sushma Swaraj and the leader of the Opposition in the Rajya Sabha, Mr. Arun Jaitley to discuss insurance bill along with other key economic reform bills. 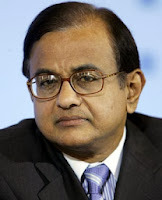 Mr. Chidambaram said the BJP has told him that they will consider the bill and will get back to him with a final view by Friday. Although, the Union Cabinet has already approved the bill, it has been pending with the Upper House of the Parliament since year 2008. The Standing Committee on Finance headed by senior BJP leader Yashwant Sinha had opposed this, arguing it would expose the sector to global vulnerability. However, the Insurance Regulatory and Development Authority (IRDA) is in favour of raising FDI ceiling, saying it would help the sector in raising funds which are needed for growth. The government is keen to pass the bill in ongoing session of the parliament. December 8, 2013, will decide the fate of the insurance bill.